True or false? Putting the damper setting at a 10 makes it harder, therefore guaranteeing better results..
First, I’d like to point out that as I was watching the 2016 CrossFit Games this past weekend in the “Rope Chipper” which involved Airdyne, Double Unders, Rowing and Heavy Rope Sled Pulls (which we could all agree doesn’t sound like an easy workout) not a single athlete had their damper set to a 10. Now mind you, these are the top 1% of athletes in the WORLD; and none of them were rowing with such a high damper setting during a workout. Before we bust this myth, (a lot of the information below will be pulled from Concept 2’s Damper Setting 101 article) lets explain what the Damper is on a Rower. Here at Forge-Rx we have Indoor Concept 2 Rowers, so this is the model I will be referring to. So far we are on the same page right? So for example rowing at a higher damper setting (a 10 for example) will allow more air into the flywheel. The more are that is in the flywheel, the more work it takes to spin the flywheel against it the air with each pull. The lower damper will allow less air in the fly wheel making it easier to spin the flywheel. Many people confuse damper setting with intensity level or resistance. The intensity of your workout is controlled by how much you use your legs, back and arms to move the handle A.K.A how hard you pull. Regardless of where you set the damper lever, the harder you pull the more resistance you will feel. The flywheel uses wind resistance, so the faster the wheel spins, the more resistance there will be. Using the Performance Monitor will give you immediate feedback on each stroke and help you determine where you as an individual will get the best results. 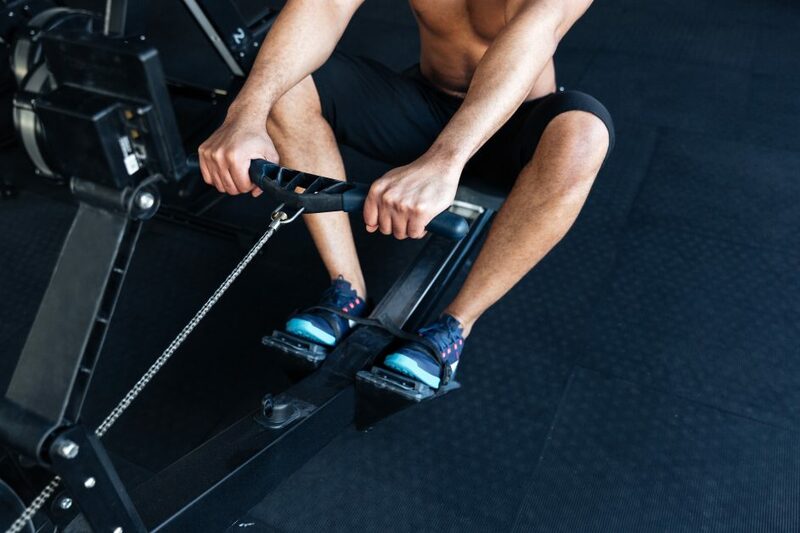 So the next time we hop on a rower in the middle of a grueling Metcon (which are typically meant to be aerobic pieces), lets resist the urge to crank that damper lever all the way up to a 10 and find the setting that works best for us.